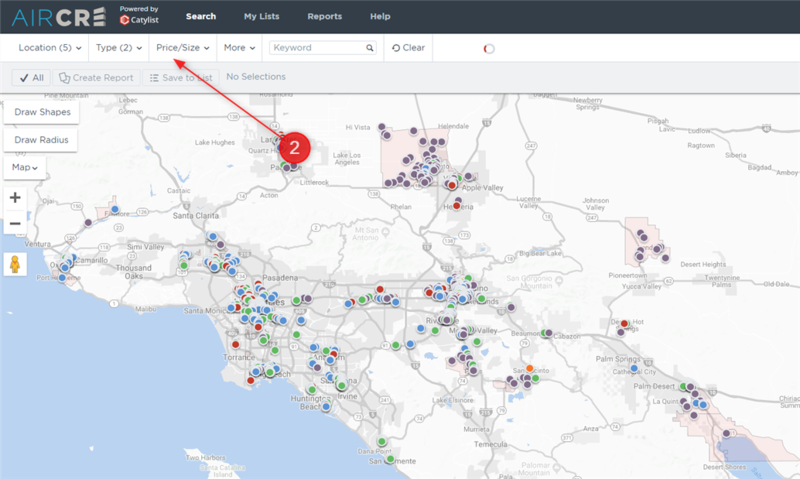 While in the new AIRCRE Research & Listings Platform, you can easily search for listings that fall within the new Federally designated Opportunity Zones. These area’s provide Federal tax benefits to those looking to develop and invest in areas throughout the country. It is a simple process to search for these area’s in our new system. 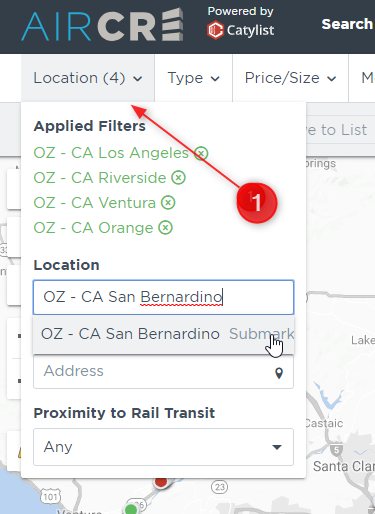 From the Location dropdown menu, enter in the below areas, exactly as written, and the map will change to show you all of the zones in the specific counties being searched. 2. Next, you can enter the additional search parameters as you typically would, to find the results and then create a report of the availabilities. As always, we are here to assist you when needed so do not hesitate to reach out to our Tech Support team at 213-687-8777.